Many of us are experts at caring for and investing in others. 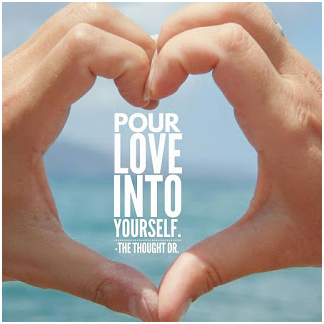 Yet we lack the same level of expertise in pouring love into ourselves. My generational patterns, passed down to me by my relatives, include the hard-core German belief: work-is-the-only-valuable thing to do. Pleasure, play, Self-care? It was all seen as frivolous, a waste of time and resources. Thus, I remain on my own cutting edge of growth--learning to lighten up, to relax, to play, to shower myself with compassion. The good news is that self-love and play are fun life coursework to choose to focus on! In what way are you needing to love, honor and cherish yourself more? I don't know about you, but I'm 1000% committed to Thrive. I want to feel great, enjoy my life AS I serve humanity with my unique gifts. So, I am going to keep actualizing all I teach and coach others to be and do. Living the transformation is exciting AND yes, super- uncomfortable. And Totally Worth every ounce of effort. How can you take steps to Thrive?